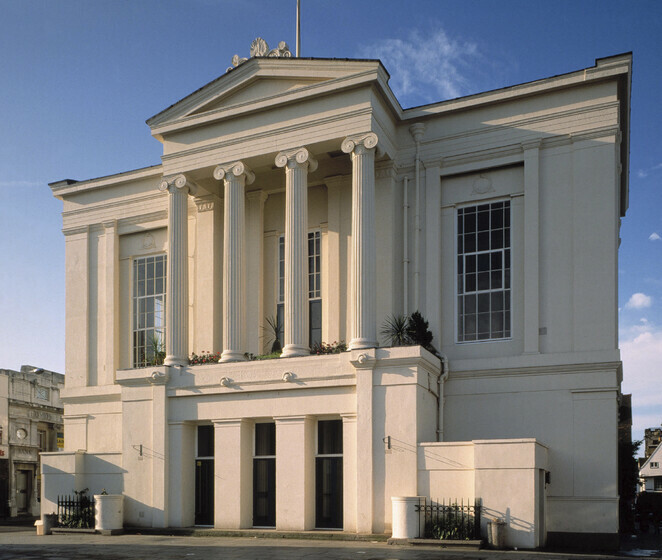 St Albans Town Hall, built in 1831, is undergoing a refurbishment and extension to transform this Grade II listed building into a city museum and art gallery. Atelier Ten worked with John McAslan + Partners, and the team’s design was awarded Heritage Lottery Funding. The design focused on adaptive reuse, transforming the town hall into a museum with galleries, education facilities, retail, dining and function spaces. The excavation of a new basement will provide additional exhibition space, plant rooms and ancillary facilities. The redevelopment of the town hall presents a substantial opportunity to upgrade the building fabric and energy efficiency of the building services systems, reduce the carbon footprint and improve the facilities. A thorough understanding of the existing building, alongside Atelier Ten’s experience with historic and listed buildings, were essential in the careful integration of building services.